Track your earnings like never before. Values are for illustrative purposes only. They show you the charges in January and collections in January, while never detailing the information, which masks the overall performance. 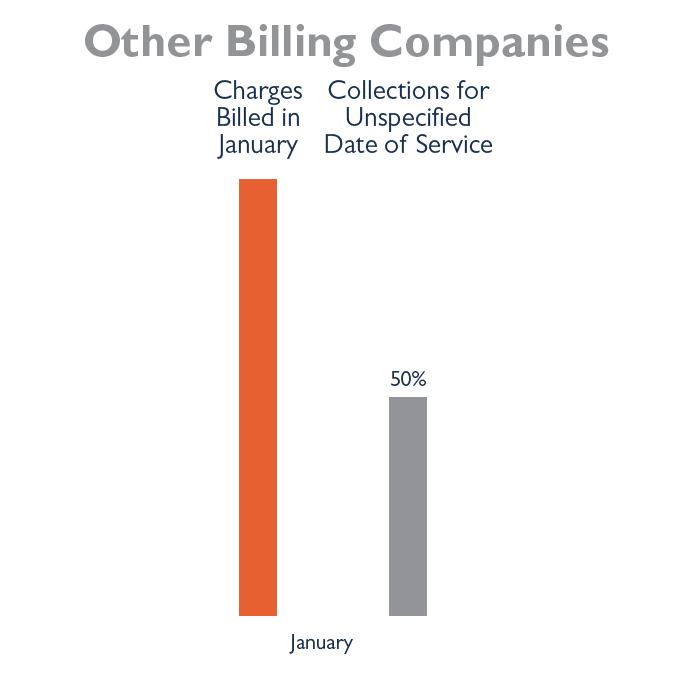 We detail your Expected Revenue rate for January’s charges and show you how much of that money is collected each month. In January, you receive money that you earned sometime in the past that ads up to 50% of the charges they sent out in January. Which doesn’t tell you anything and is easy to manipulate. You receive 97% of January’s Expected Revenue with regular reports to track progress. Get paid what you’re owed with our Expected Revenue Guarantee. Even better, when you partner with TRIARQ for your RCM needs, we give you our cutting edge EMR for FREE. In a typical small practice, that’s a $12,000 value per year. At a larger practice, that could be worth $30,000 or $40,000! The TRIARQ EMR, also known as TRIARQ Pro, is full of advanced, convenient features like appointment reminders, a patient portal, and is customized to the needs of your practice up on implementation. It also comes with an expert Performance Manager who proactively monitors your account, sifts through data, and offers suggestions to capture more revenue and become a stronger business. 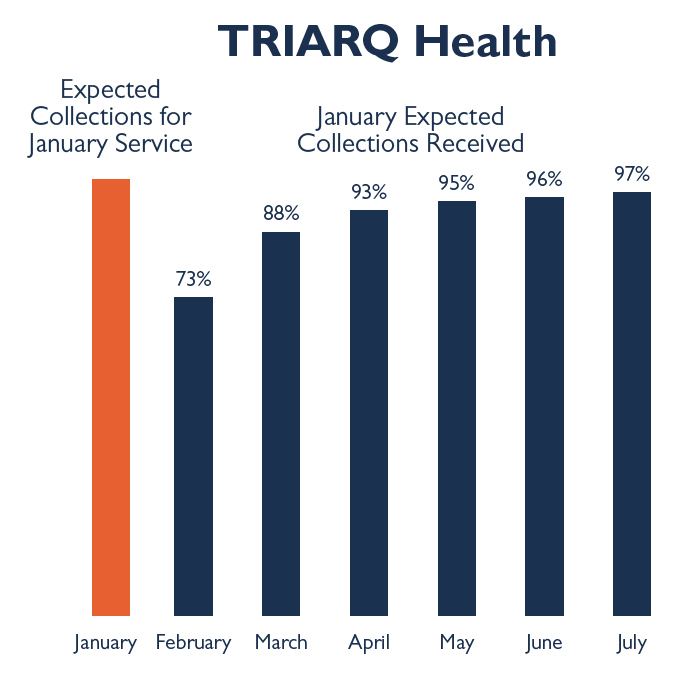 Want to Learn More About the TRIARQ Expected Collections Guarantee?